Dr. Sun was born and spent the early part of his life in Hong Kong. He and his family immigrated to Canada in 1984. They settled in Scarborough, Ontario where Dr. Sun finished his high school. He then went on to obtain his Bachelor of Science degree in Human Biology in 1992 and his Doctor of Dental Surgery degree in 1995, both from the University of Toronto. To further his education and his skills, he went to Rochester, New York, to complete a 1-year General Practice Residency (GPR) program at the Strong Memorial Hospital, University of Rochester, where he got to learn from the specialists in all disciplines of dentistry. Upon returning to Ontario, Canada, he worked as an associate dentist in downtown Toronto, Bolton, and Scarborough, learning all aspects of dentistry from his colleagues. In 2000, Dr. Sun decided to start his own dental practice and he subsequently bought his current dental practice in Lindsay and started serving the patients in his practice in August, 2000. He and his family then moved to Lindsay from Toronto in December, 2000 and have been residing in Lindasay since then. Dr. Sun's passion in life is "dentistry". He loves to learn and practice all the different aspects of dentistry, keeping up with the latest techniques and treatment modalities so that he can best serve his patients. He is a continuing education "junkie", having taken, sometimes repeated, many courses and seminars throughout Canada and U.S. to broaden his knowledge and skills. In fact, Dr. Sun has averaged over 150 hours of continuing education per year over the past several years. He has taken numerous hands-on "live" patients programs so that he could have the opportunity to apply his knowledge to real-life situation under the guidance of his mentors. He makes a conscientious effort to take at least one continuing education seminar/course per month to keep himself updated. Dr. Sun is a member of: Royal College of Dental Surgeon of Ontario(RCDSO), Ontario Dental Association(ODA), Toronto Implant Institute, Misch Implant Institute(having passed the Fellowship exam in 1999), Academy of GP Ortho(AGpO), American Orthodontic Society(AOS), International Congress of Oral Implantology(ICOI). Out of all the disciplines in dentistry, Dr. Sun is particularly interested in Oral Surgery, Implantology, Orthodontics, and Periodontal Surgery. 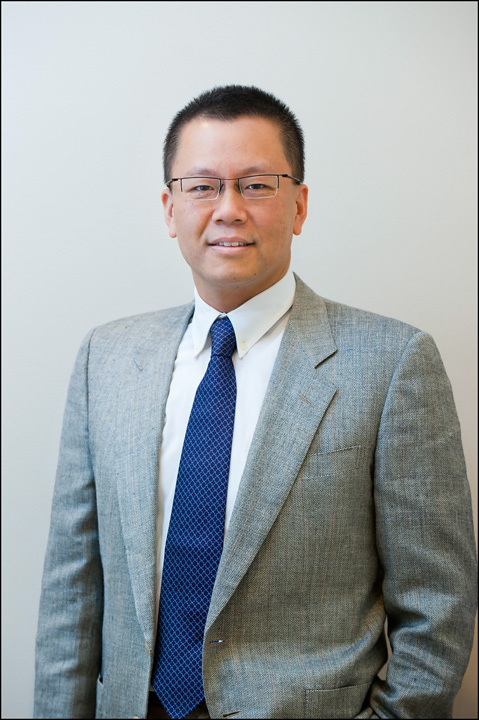 The GPR program has given Dr. Sun a solid foundation in oral surgery. which, with on-going continuing education, has allowed him to broaden his skills so that he can perform wisdom teeth extraction, dental implant surgery, bone graft, gum graft, deep gum pocket reduction surgery etc. right in his office. Dr. Sun has been receiving training in Orthodontics(Braces) since the late 90's and he has been providing comprehensive Orthodontic therapy, invisible Braces(aligner therapy), and fast Braces(6-month Braces) to his patients, both children and adults, for many years. Dr. Sun understands and appreciates that dental treatment can be anxiety-provoking and sometimes frightening for the patients. Therefore, in order to provide a relaxing and comfortable environment for his patients, especially the highly anxious and the dental phobic patients, Dr. Sun performs sedation dentistry in his office. His operatory is equipped with Nitrous Oxide(Laughing Gas) to help patients ease their anxiety. Dr. Sun has also received training in conscious sedation with the use of oral sedation(sleeping pills)and laughing gas. With the administration of both modalities of sedation, most anxious patients can comfortably undergo comprehensive treatment in as little as one appointment. IV sedation is another form of sedation that is available and performed by Dr. Sun. IV sedation allows the most precise and most accurate dosage of medication into the patient's body, through his or her vein, in order to achieve and maintain adequate level of sedation for a pleasant experience throughout treatment. Dr. Sun completed his advanced training in IV sedation in 2011 and has been offering IV sedation in his office since the beginning of 2012. During IV sedation, Dr. Sun has a registered nurse working along with him to ensure the safety of the patient. Being a Christian, Dr. Sun believes in giving back his knowledge and skills to those who do not have access to dental care. In 2002, he, along with a team of medical doctors/nurses/students/volunteers, went to several underpriviledged areas in the country of Hondurus to provide medical and dental care to those in need. Dr. Sun extracted well over 200 teeth during those 4 days of the missionary trip. It was one of the most humbling and satisfying experience in Dr. Sun's life. In 2013, he will again go on another missionary trip, this time to Guatemala, along with other dentists, to serve the dental needs of the poor in that country. He is looking forward to the challenges and the rewards during his mission. At leisure time, Dr. Sun enjoys listening to classical music, playing the piano and the cello, watching sports on TV, travelling, and spending time with his family. His wife is currently completing her Ph.D. in Nursing at the University of Toronto and she hopes to graduate in 2013. Their 2 sons are growing like "weeds" at the present time and they are both involved in sports and music.